Finding a new surgeon was terrifying…. I knew my particular issue would be quite a challenge; removing the old implant and reconstructing my breast to a smaller size would take an experienced surgeon. As soon as I met Dr. Kim I knew I had found the surgeon for me. He really listened to what I wanted and not only did I feel heard, I felt understood. He knew just what I needed to achieve the best results and he took the time to explain the details. His before and after photos speak for themselves, he is a fabulous artist but he is more than that, he is true professional. I am already writing a review because my breasts are perfect. I can’t even believe that a 39 year old mother of three can have the breasts of an 18 year old but I do. I don’t even have noticeable bruising. The scars, which are the full anchor-type, are just tiny lines that I know will fade to something barely visible in no time at all. I can’t say enough how pleased I am with my results. Let there be no doubt in your mind, you’re in great hands with Dr. Kim. Update: It’s two weeks out from surgery and everything is beautiful! I wish I could give them 10 stars if I am able to. I came here for blepharoplasty surgery consult on May, I have been consulted many other surgeon before I came to see Dr.kim, but I just couldn’t make the decision, I know there is many of you like to show picture to your surgeon, and tell them this is how you want, many surgeon may tell you they will do it,but they neglect the result may not look good on you what you expected. When I went to CK plastic surgery, I met with Dr. Kim and Chris the beautiful consultant, they gave me very honest and professional advise, what procedure and what shape will look best for me, then I booked the surgery date without any concern. The result is amazing, it exactly how I want it to be, I have a very beautiful eyes now! I am extremely happy with the result!! I have to mention Dr. Kim is a great surgeon, he has good hands and a good sense of what beauty is. CK plastic surgery is my secret place to become prettier. For 14 years I’d had a mole growing on my left eyelid and no one knew how to remove it!! I saw GPs, dermatologists, and ophthalmologists but they all said the mole had to be surgically cut out. That was not an option for me — I was worries about ruining the shape of the eye. The amazing CO2 laser at CK removed the mole so quickly, without any damage or change to the eye! The procedure was so quick with no recovery time! I’m so so so glad I went to CK: they fixed a 14 year old problem in a matter of minutes. I have never had any laser before. so it was my first time to have this called ND-YAG LASER. and It was pretty cool. at the first week, i couldn’t notice any difference but second weeks, i noticed my skin look shiny and clear !!!!! i definitely will go back to have second my YAG LASER soon. !!! Dr. Kim puts so much love in his work and makes sure his work comes out perfect. Dr. Kim changed my life and I will always use his service after. I remember during my surgery that last words I told dr kim before I fell asleep “i trust you dr”. They really take good care of you. I highly recommend Dr Kim! ELLEN is the best esthetician I have ever met. I am getting skin care on regular basis and I got 3 D Tattoo on my eyebrow and eyeliner recently. It was truly amazing! 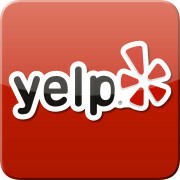 Ken, was extremely thorough, professional, and made me feel very comfortable during the procedure. If you are thinking about any type of laser procedure, I highly recommend CKPS! The ambience was very high-end and the staff was very professional. The Dr was very patient and knowledgable and I was very impressed with the results. Happy Happy Joy Joy Yay. That’s what I feel what I look in the mirror…A separate salute has to be given to Ken, the skilled RN who administers the treatments. My mom is nurse and tends to be pretty skeptical of most cosmetic procedures….My mom agreed to get the Ultherapy and the results were amazing. Best plastic surgery experience ever! Dr. Kim and his staff were professional, competent, skilled and patient. In other words – they rock! I can’t believe how happy I feel every time I pass a mirror. Dr. Kim exceeded all of my expectations not only as a surgeon but as a caregiver.